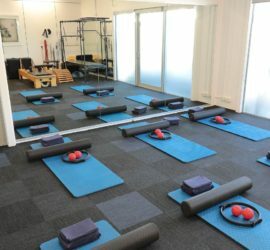 Central Lakes Physio & Pilates, Wanaka is a friendly and professional Physiotherapy and Pilates clinic that offers thorough and holistic healthcare. We help people get better and stay better. Nobody enjoys being in pain, or having limitations placed on their fun. Injuries and illness are a part of life, but our highly trained physiotherapists will work with you to get you back on track. Click here to access a virtual tour of the Studio. We have a great team of physiotherapists at Central Lakes Physio offering a range of treatments. We provide a physiotherapy rehabilitation package tailored to your needs. The aim of our Pilates Classes is to educate you on how to retrain your body for efficient movement. We have Mat, Core and Studio Pilates options available. At Central Lakes Physio we practice both Western Medical Acupuncture and Trigger Point (Dry) Needling treatments to relieve pain and release tight muscles. We are privileged to have Sally Watson as part of the clinic as a Massage Therapist. Sally is a qualified physiotherapist with an extensive knowledge about the body.